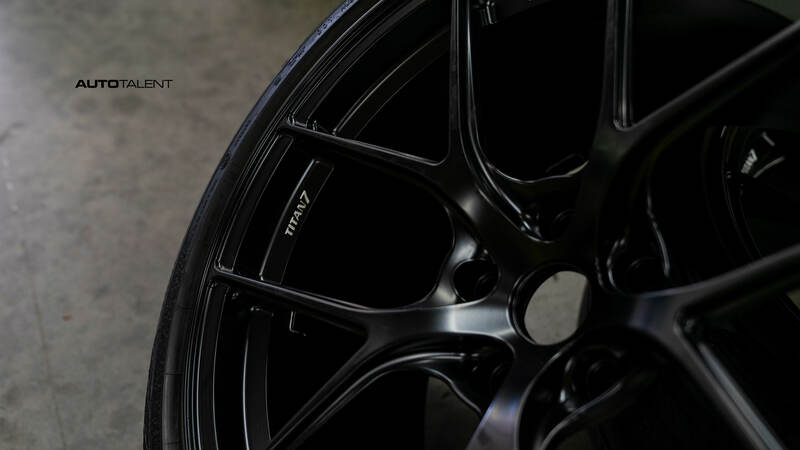 We recently became an official stocking dealer for Titan 7 and wasted no time finding a car locally to buy a set. 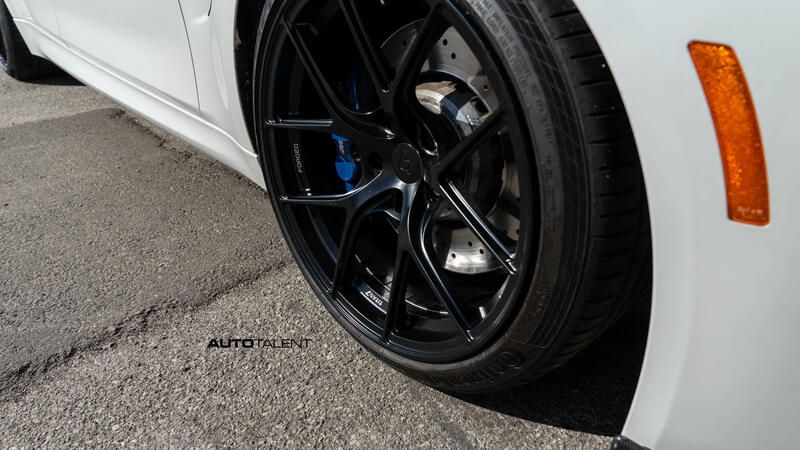 Julian decided to go with the machined Black TS-5 wheels which had nice contrast against his alpine white car. 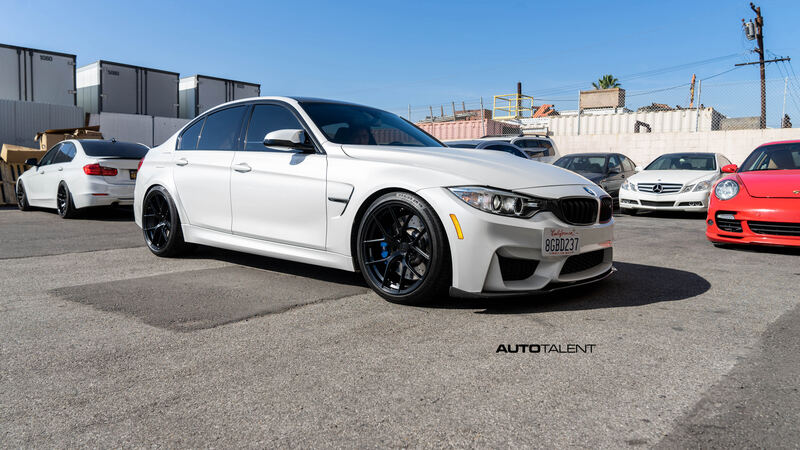 Specs on the wheels are 19x9.5 +22 and 19x10.5 +34. Customer is lowered on Swift Springs for the perfect stance! 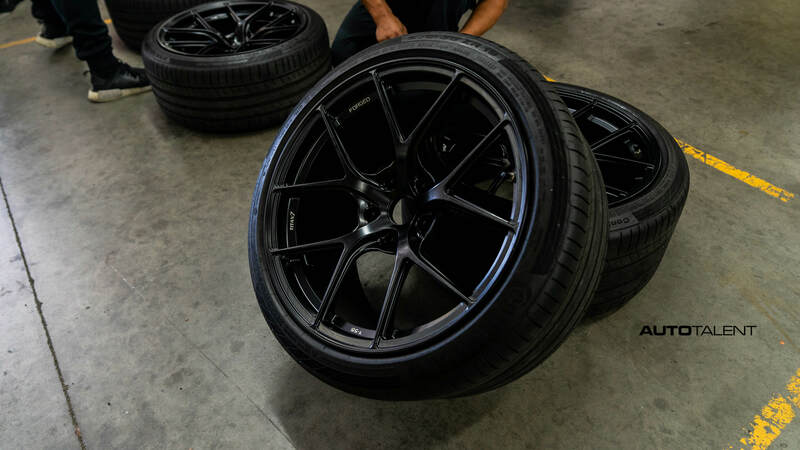 These wheels list at $2480 for a set of staggered 19s. 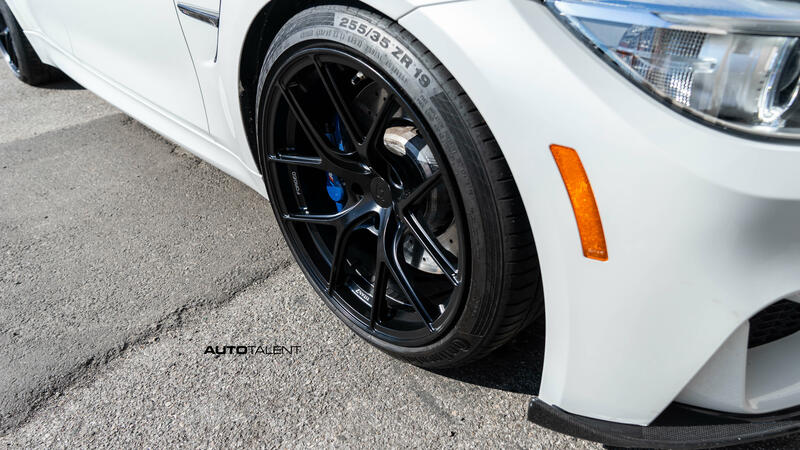 The wheels are a forged mono block weighing only 20.6 lbs for the front and 21.1 lbs in the rear. Can't really beat that price for the quality received.